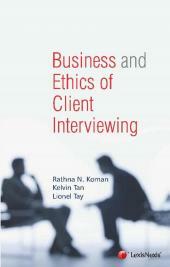 Understanding Lawyers’ Ethics in Singapore sets out the essence of key ethical rules, principles and standards in Singapore’s regulatory regime for legal practitioners. Understanding Lawyers’ Ethics in Singapore sets out the essence of key ethical rules, principles and standards in Singapore’s regulatory regime for legal practitioners. 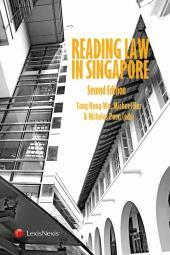 Focusing on the new professional conduct rules which came into force on 18 November 2015, this book examines how judicial conceptions have shaped lawyers’ ethics in Singapore and provides commentary on the principles-based approach underlying the new rules. 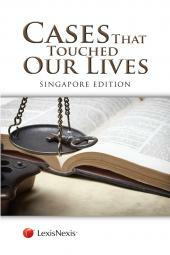 It is highly recommended for all legal practitioners practising law in Singapore. It also assists academics and students in understanding the important role that lawyers’ ethics play in promoting the administration of justice in Singapore. Alvin Chen is the General Counsel, Legal and Compliance, of RHTLaw Taylor Wessing. Alvin had worked as a lawyer in both the public and private sectors and was the Chief Legal Officer and Director of the Representation and Law Reform Department of the Law Society of Singapore. Alvin had also taught legal research and writing to first-year undergraduates at the Faculty of Law, National University of Singapore, as well as ethics and social responsibility at the Singapore Management University. Alvin was the General Editor of the Guide to Professional Conduct for Advocates and Solicitors, a 2011 publication of the Law Society of Singapore. He has written a number of articles for the Law Gazette (a monthly publication of the Law Society of Singapore) on professional ethics and was a former Subject Co-ordinator for the Ethics and Professional Responsibility module in the Part B course conducted by the Singapore Institute of Legal Education. Alvin is also the author of the article titled “Judicial Developments in Ethical Lawyering in Singapore”, which was published in the September 2013 issue of the Singapore Academy of Law Journal. In 2015, Alvin was appointed to the Advisory Committee of the Professional Conduct Council. Helena Whalen-Bridge is an Associate Professor at the National University of Singapore Faculty of Law. She teaches legal ethics and advanced skills courses, including comparative advocacy, and legal argument and narrative. Her research areas are legal education, legal ethics and pro bono, and access to justice, and she has authored book chapters and articles in international law journals. Helena is a founding member of the Law Society of Singapore’s Project Law Help, and she worked with the UNDP Team that translated Lao laws into English. She has been Faculty Advisor for NUS Law’s student Pro Bono Group since its inception in 2005.